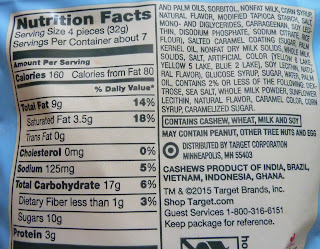 But these sea salt caramel cookie snacks are just not as good as their peanut butter and chocolate cookie brethren. There. I said it. I wanted them to be good. I tried to like them. 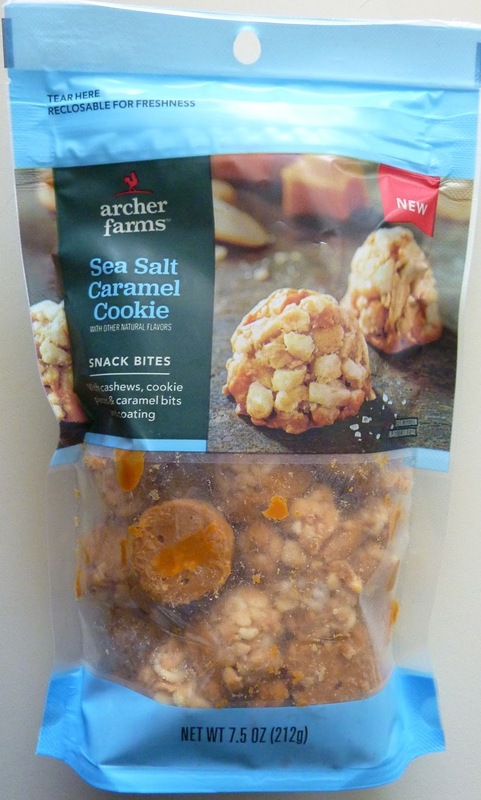 We've seen other tasty sea salt caramel snacks from Archer Farms. And we've seen other delicious salted caramel treats from other brands. But these just weren't up to par. They weren't awful, but they certainly weren't delicious either. The flavor seemed "forced" to me, if that makes sense. It's like these cookies wanted to taste like something else. I can't tell you what, exactly. But they were slathered in a strange tan substance—not unlike peanut butter, texture-wise—and flavor-wise, like a strange, fake butterscotch substitute. It wasn't like normal caramel. I mean, they would have been crazy messy had it been traditional, gooey caramel...but it probably would have improved the flavor. 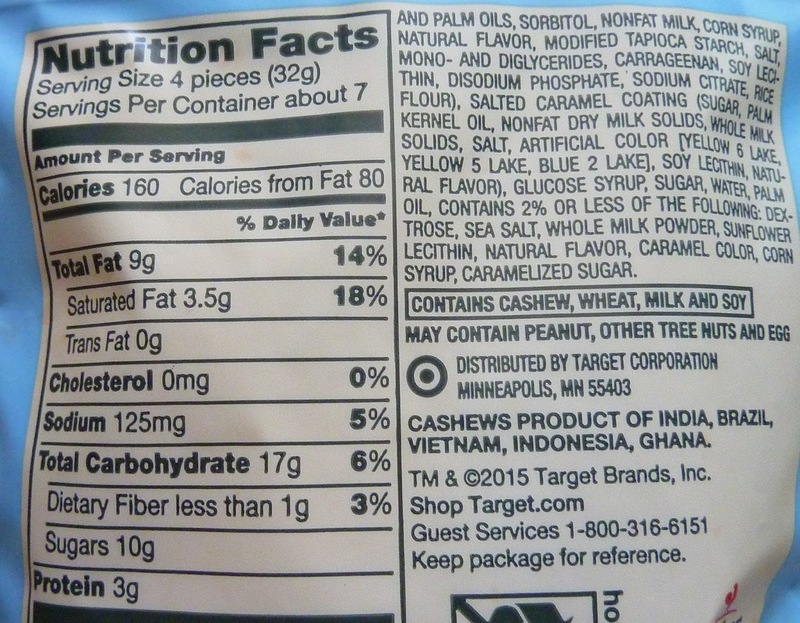 The overall shape and texture of these "snack bites" is very similar to the above-mentioned Peanut Butter & Chocolate Cookie Snack Bites, but these lack the added texture of the little Reese's Pieces-style candies. They're still fairly crispy and are a convenient "bite-size." 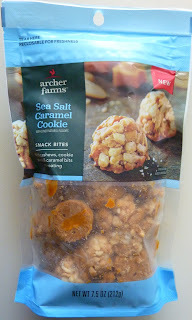 They're not a complete disaster, by any means, but as someone who generally enjoys sea salt caramel and salted caramel products, I found these a little disappointing. Without knowing my opinion beforehand, Sonia remarked that these were also not her favorite, especially after trying the comparatively successful pb & chocolate cookies first. We'll go with a 6 out of 10 for these cookie bites. I agree these weren't good!